ROMAN EMPIRE. 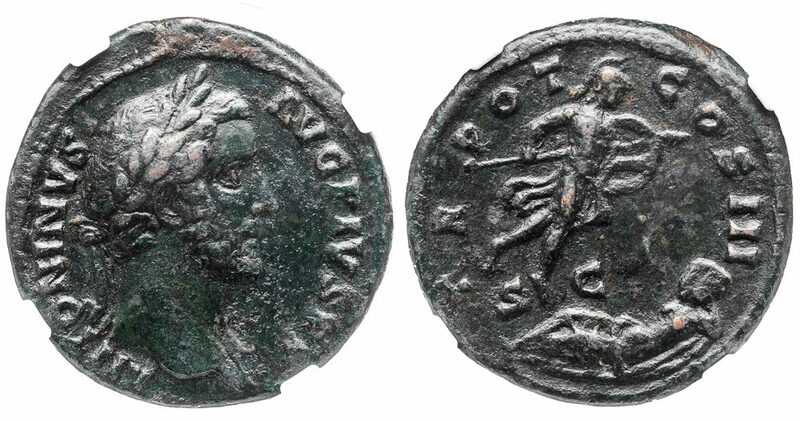 ANTONINUS PIUS, AD 138-161. Bronze As, 9.81 g, 27 mm. 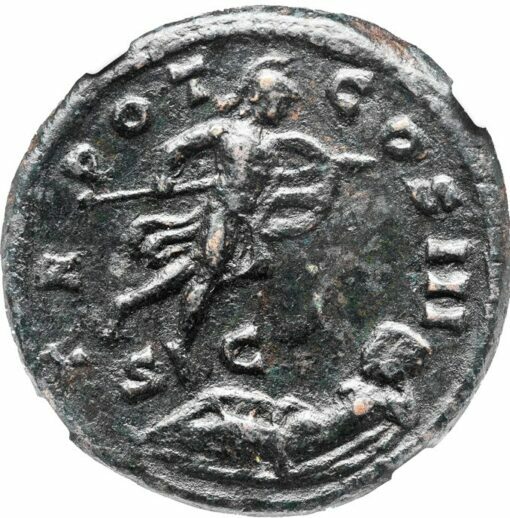 Struck ca AD 140-144 at the mint of Rome. Obv. Laureate head of Antoninus Pius right. Rev. Mars, floating, approaches the dreaming Rhea Silvia, asleep on a rock. RIC 694(c); C. 886; BMC 1370. Ex Ritter von Marabini Collection and Gorny & Mosch 124 (10/14/2003), 2493. 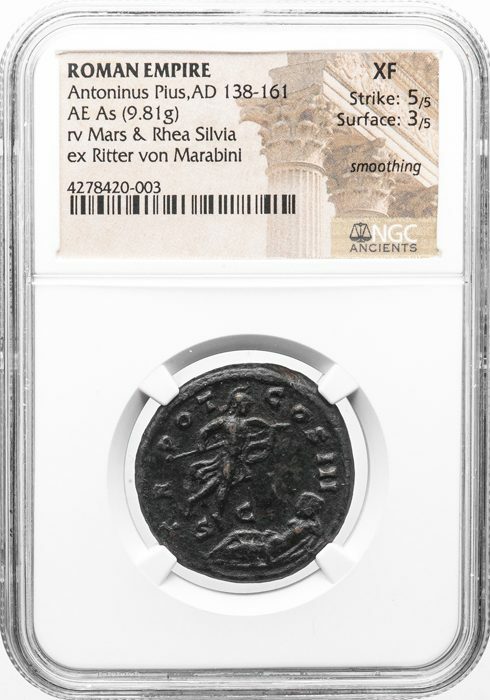 NGC graded XF, Strike 5/5 Surface 3/5, smoothing noted, a fine example of a popular reverse type commemorating the “divine” conception of Romulus and Remus. For a current discussion of this type see Constantin A. Marinescu, ” Levitating Gods and Dream Imagery on Roman Coinage,” in Mary Edwards and Elizabeth Bailey, eds, Gravity in Art: Essays on Weight and Weightlessness in Painting, Sculpture and Photography (McFarland, 2012), pp. 22-34.